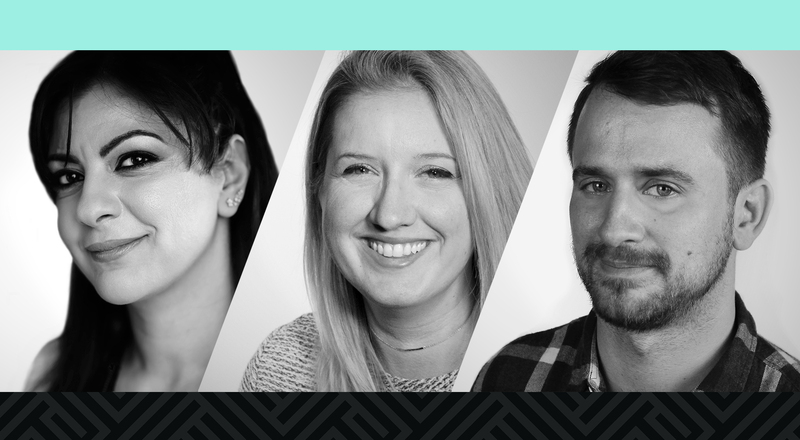 Spring brings new growth to McMillan, as the Ottawa-based creative B2B agency announces three key additions to the company’s Strategic Services team. Lubna Sadik joins the company as Senior Strategist, Michael McDonald-Beraskow arrives as Strategist, and Maxine Patenaude comes to the team as Engagement Strategist. Sadik joins McMillan following engagements with Chicago-based Arment Dietrich and Canada Post. She has 18 years of experience building marketing strategies for B2B and B2C clients, in both traditional and digital environments. McDonald-Beraskow arrives from Leo Burnett in Toronto, bringing a special focus on social media and digital strategy. He has worked with a diverse roster of B2B and B2C clients, including IKEA and Enbridge. Patenaude is a driven public relations and communications strategist with a deep understanding of social media engagement and digital strategy. Before joining the Strategy team, she was a member of the McMillan Client Services team, working with clients including Intuit and Commvault. These new additions in Strategic Services demonstrate McMillan’s commitment to attracting and securing top industry talent to further drive client success.